I’d never considered putting this recipe on the blog before because, like with the Chocolate Delight recipe, I assumed everybody and their dog had it. Then I searched online for the recipe, which I thought was pretty standard, and learned that there are 19 fazillion versions of this recipe out there. And since the one my mom has been using for the last twenty years is ta die for perfectly perfect in its perfectness, I called her up to make sure I had the version of the recipe that she uses. You’ve all seen this recipe before. I think it hit the scene in the 80’s and is known by a few other names: Pig Pickin’ Cake, Ambrosia Cake, Pea Picking Cake and Sunshine Cake to name a few. We actually call this Man Cake since Mom says she’s yet to serve this to a man and he not ask for it again and again. She just made this for Father’s Day for that exact reason. I don’t know who originally created this recipe but it is truly wonderful. And easy! And, though I can’t claim to have tested out all the other versions of it floating around out there, I’m going to go out on a limb and declare this one the best because I, honest to God, can’t think of a thing that could be improved upon with it. Grease and flour three round cake pans and set aside. Combine wet ingredients (including oranges and juice) and beat on medium speed with an electric mixer until thoroughly combined. Add cake mix and beat on low speed for two minutes. Pour evenly into cake pans and bake per cake mix manufacturer’s instructions. Cool cakes completely. I must have been living under a rock for most of my life! I haven't had or heard of this cake before. I'll be putting it on my baking list for sure! Seriously? It's one that I never posted because I assumed everyone had it! So you mix the oranges with the cake mix? I make it a lot. Its a heavy cake but we live it. It's really good if you add coconut to the frosting. I bet! I LERVE coconut! I am making this cake this weekend! I love this cake!! I haven't had it in so long & seeing this made me crave some! Don't you love stumbling across an old favorite! Hope you like it, Sue! GO JAX!!! my mom makes this, calls it "pig pickin' cake," undoubtedly because most people bring them to pig pickin's to be fancy (i guess). she also makes a pie version, which is cool wHip based, and that is called the million dollar pie. super yums. I had never heard of this cake before, but I am so glad I stumbled upon your site and this recipe. Everyone absolutely loved it. It is like a cross between pineapple upside down cake and Watergate/Grasshopper Salad, both of which I love. The only problem I had with it was that it is a little too sweet for me. I think next time in place of the cool whip, I will whip up some heavy whipping cream. Still, even with it being a little sweet, I absolutely love this cake. Thank you so much for sharing this recipe! The real deal whipped cream would be amazeballs! Glad you liked it! I have made this lots now and still love it and am happily sharing that love. I've made it as directed, as cupcakes and in a 9x13 and it comes out delicious no matter which way you bake it. I brought the cupcakes to a wedding shower this summer and they got rave reviews and plenty of recipe requests, they were all surprised at how simple it was. You're right by the way, the real whipped cream is amazeballs, though occasionally, like tonight, I still make it with cool whip (I thought I had more whipping cream than I do). Thank you once again for such a versatile and delicious recipe. Thanks for letting me know. I popped over last night and saw it there. It seems today she has taken the photo down and listed an entirely different recipe. I enjoyed reading the comments and seeing that there were a few of you taking up for me :) I thought it was hilarious that she said, "so what if it (my photo) matches this cake". Matches? Like they're just similar?? LOL! Do I make up the pudding according to the box directions before I fold everything together? No, just dump the dry mix in then fold. One Q - can you feel bits of pineapple in the cream or do they just blend in really well? My kids hate 'bits'! Yes, you can feel the texture of the pineapple bits. I'm sure adding the pudding would be lovely! Love love love this cake. This recipe was given to me many years ago by a GF from Kentucky. Our husbands were in the military together in Germany. Thanks for sharing and reminding me of good times. Grandma Harris used to make this all the time when I was in high school, and now I make it. Did not know there was one online to Pin and share with my friends. This is one of the yummiest! I have gained about 35 lbs reading your recipes and canNOT wait to try them! 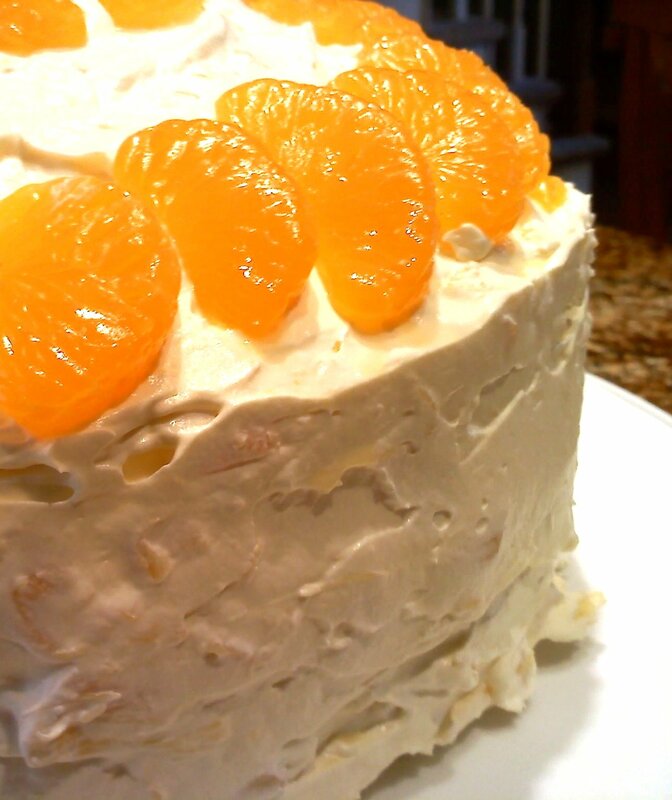 This is one of my go to cake recipes! Always a crowd pleaser and gets better as it sits in the fridge!!! Just found your blog today and I absolutely love it! Thanks, Angel! I hope you visit often! my husband made this cake for me for me for my birthday this past Monday and it is delicious!!!! Do you think I could just make it a 9x13 or no? I'm sure! I've thought about doing that too! Also known as Georgia Special or Pig Pickin cake as it was served at a pig roast. Soooo good! 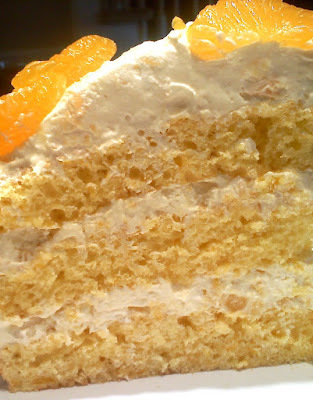 We have eaten this cake since I was a little girl, my mom called it "Sunshine Cake"--it was what we always requested for birthdays!!!! So since it was 70 degrees here in NC today, I wanted to make something cool and light. I will have to call mine tropical cake. I thought I had my schnitz together and had all the ingredients....ha! This was my version. A lemon cake mix with the oranges, and banana pudding in the pineapple topping. Almost added some coconut but was lazy. It's still tasty and my onions and grandma onion will be glad to get something sweet. Thanks for recipe. This looks really good, but I would have to do mandarin oranges (chopped) instead of pineapples since my daughter hates pineapples. We actually do the icing (with the oranges) and use it with angelfood cake as a nice light desert in the summer! !